As a student who has the privilege to go to school full-time and work part-time as an intern, there are plenty of opportunities to compare and contrast what is learned in the classroom with what is practiced in the workplace. Like many MPA programs, the emphasis on the curriculum is to prepare students by “strengthening the knowledge and skills that enhance the management and leadership capacity of individuals pursuing public service careers.” Professors and teachers like to believe that the lessons they are imparting to their students will have real world applicability. However, as many students and interns will confess, that is not always the case. A quick example will suffice to show the problem. Over the summer, I along with about fifteen other students took a course on local economic development that discussed the different strategies and tactics municipalities can use to raise their community’s quality of living. The concepts were straightforward. The analytic tools had sufficient value. There was little doubt that municipalities could benefit from adopting these ideas and implementing them in the workplace. Yet, despite practical merit of the theories discussed in class, the consensus among the students was that there was little desire by the local governments to pursue them. Why the discrepancy? Why is there a disconnect between academia and agency? Perhaps, the short answer is that the classroom theorizes, while the organization practices. Einstein once pithily remarked, “In theory, theory and practice are the same. In practice, they are not.” But everybody knows that already. Academics and practitioners have always held at least subtle differences in their views on the career and subject field they belong to. For students like myself though, there is the belief or an expectation that the subjects studied in the classroom will have practical application in the real world. One generally hopes that the education just obtained in school will have immediate and clear carryover in their work experiences. Yet, that carryover from academia to agency is not happening at a level that most would find acceptable. Thus the short answer will not suffice. A more detailed explanation is warranted. Scholars have been asking the questions as to why the knowledge transfer is not more concrete between researchers and professionals. Paul Shrivstava of New York University and Ian Mitroff of USC attributed the difference to the idea that researchers and organizational decision-makers have very different notions as to what constitutes “knowledge.” They argue that some of the publications done by researchers do not contain useful material for practitioners. Other scholars like Kenneth Thomas of the University of Pittsburgh and Walter Tymon of Rutgers University have emphasized a difference in goals and the importance of timeliness. PS – the Captcha mispelled “solve”! 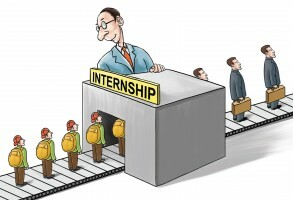 Without the benefit of knowing which economic development policies you found to be sound and practical, it is not possible to judge why the public agency where you spend your internship resisted adoption of the policy. But, generally speaking, innovation and policy experimentation require a champion. Either the head of the agency, or an elected member of the governing body, needs to embrace new concepts. The discretion to introduce new policy is rarely available to program administrators. Did you attempt to communicate the benefits of the new policy to individuals with the authority to take action?